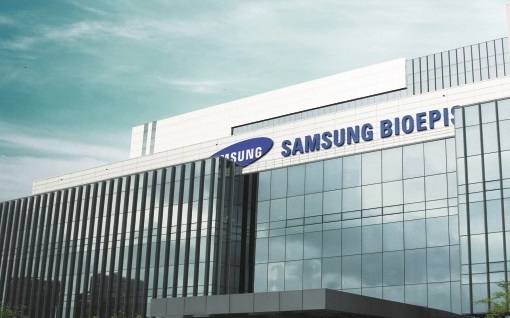 Samsung Bioepis announced on Monday that it has sealed a licensing agreement with C-Bridge Capital, its second Chinese partner, to expand its biosimilar market share in mainland China. The Korean firm had earlier signed a similar partnership deal with 3Sbio. Under the new agreement, C-Bridge’s newly established biopharmaceutical company AffaMed Therapeutics will collaborate with the Samsung unit for the clinical development, regulatory registration and commercialization of its drug candidates in China. “C-Bridge is the right partner for (our) mission to widen access to high-quality health care for patients in China,” said Samsung Bioepis President and CEO Ko Han-sung. C-Bridge is a health care dedicated private equity firm, which reportedly manages over $1.8 billion worth of assets. The agreement with C-Bridge covers Samsung Bioepis’ three biosimilar candidates SB11, SB12 and SB3, which reference Lucentis, Soliris and Herceptin, respectively. Samsung Bioepis will receive an upfront payment, as well as royalties on sales. Further financial details were not disclosed. Established in February 2012 as a joint venture between Samsung BioLogics and US-based Biogen, Samsung Bioepis also has a partnership with Merck -- known as MSD outside of North America -- in Europe and the US. Across Europe, the firm currently has four biosimilars that are approved and marketed, including anti-tumor necrosis factor trio of Benepali, Flixabi and Imraldi, and a breast cancer drug Ontruzant. In the US, the company has one biosimilar -- Renflexis -- on the market. Ontruzant was approved by the US Food and Drug Administration in January. A biologics license application for SB5 biosimilar candidate is currently under FDA review.